I hope you enjoyed the Bank Holiday weekend and are not too shocked that it is already the last day of May! Today is also the final day of the Annual Catalogue 2016-2017 and your last chance to say goodbye to the retiring items and current bundles. All current discounted bundle items will no longer be available as a bundle. If the items are carrying over, they will be available at full price. So, if there is something you can’t live without, you’ll need to place an order today. 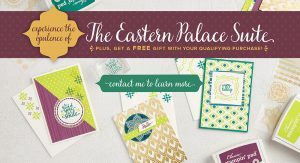 Don’t forget it’s the last day for the Spring/Summer Catalogue and Eastern Palace promotion too. 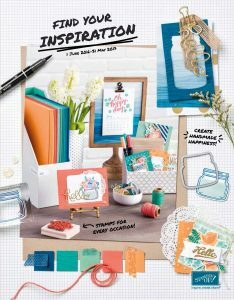 I’m placing my final order for these catalogues at 18:00 tonight so please contact me before then if you’d like to order directly from me. Alternatively, you can place an order at my online shop by 22:50. Which item(s) are you going to miss the most? To order any items in the current catalogues or on the retiring list, go to my online store. Remember to use the Hostess Code if you are placing an order. 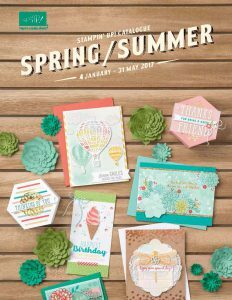 Previous: Saying Hello – the new 2017-18 Annual Catalogue from Stampin’ Up!